Although it might sound too good to be true, many successful businesspeople start their careers as teenage entrepreneurs. These individuals didn’t let their ages hold them back, and you shouldn’t, either. If you don’t know exactly what you’d like to do quite yet, read about seven successful business that were all started by young entrepreneurs. Who knows, one of these jobs might get your creative juices flowing and spark your own great idea! Although many teens lack a robust resume, they have one asset that helps them stand out—their understanding of the online world. Thanks to growing up with the internet and social media, teens know how to discover the trends they want to follow and how to influence others. Teenagers that have an affinity for social media can use the knowledge their age affords them to start their own online marketing companies. If you’re wondering what this looks like in real life, check out Canupy, an online marketing company founded by a young entrepreneur named Elise Darmanin. If you have the motivation and passion it takes to run a business, one of the fastest routes to entrepreneurship may also be one of the most fun and versatile -- owning a Sno Shack. Although there are many benefits to owning this type of company, teenagers are often drawn to the flexibility and customization it offers. Owners can decide what type of storefront they want -- mobile or stationary -- and they can design it exactly as they choose. With the right creative eye and drive, any teenager can run one or more successful Sno Shacks. Teenagers often buy and sell products on Etsy, but they don’t have to limit themselves to this platform. 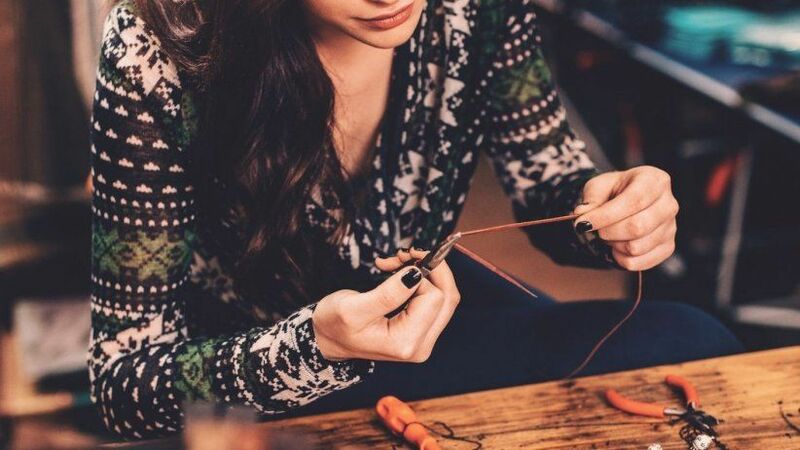 For example, at only 14-years-old, a girl named Bella started selling jewelry directly to her friends and family members. Shortly after Bella started selling jewelry, it became clear that she could make it big in the industry. Today, she owns Origami Owl, a company that sells custom jewelry throughout the United States and Canada. Every summer, teenagers secure jobs at automotive washes. These businesses generally offer fun outside work environments, but working with an established car wash isn’t the only option teens have when seeking a great work environment in this field. Instead of signing up to work with a traditional car wash, teenage entrepreneurs can work with another company, like Shine Supply, to start their own mobile detailing business. In the summer heat, it’s not uncommon for people to get a sunburn. In general, this isn’t a large issue if it’s a one-time occurrence, but if it happens more than once, it probably means that these people aren’t heeding skin cancer warnings. Why? For Willa Doss, co-creator of Willa, the answer was simple: The sunblocks she tried never felt good on her skin. So, with the help of her mom -- who was diagnosed with skin cancer at 29-years-old -- Willa created a skincare line that protects skin and makes it feel good. If you can think of a beauty product that you’d like to see changed or created, a career in beauty product creation and production might be for you, too. Starting a tech company is a great idea that can result in a lot of revenue, but there’s generally more to it than meets the eye. As such, a few experts suggest that teens try and get their foot in the door before they start their own company, which is where a company like Vivintcan help. Vivint provides smart home technology solutions for its customers. With no startup costs and training facilities across the United States and Canada, teenagers who are confident, honest and dedicated to learning more about this industry can start their careers working for Vivint. What’s your next big idea, and how are you going to make it a reality? If you still aren’t quite sure, know this: With the right attitude and work ethic, nothing can stop you.